Google Caffeine is the name given by Google for its new "instant results" search. You may have noticed that (at least in some browsers) as you type something in to the Google search box, you will see the page underneath change automatically and update as you type to show you increasingly tighter results. 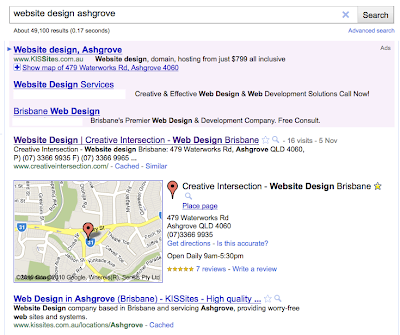 Start typing "website design ashgrove" and by the time you get to the last part of "ashgrove" you'll start seeing very finely tuned results (the same results you would have seen after hitting "search" when you finished with the entire phrase). The next feature of Google Caffeine is then that the page will allow you to use your arrow keys (again, on some browsers) to choose the result that you actually want to follow instead of having to place your mouse cursor over that link. You'll see this indicated by a small arrow in the left-hand-margin next to each result. Pressing "return" on your keyboard will then follow that link. The Adwords results (ads that come at the top and right-hand-side of the page) are the first thing selected by Caffeine for keyboard shortcuts. That means that Google is deciding what is the most relevant result FOR you ... AND ... it counts its own advertising stream in that mix. What does that mean to you as a potential advertiser in Google ? Paying to be at the top of the Adwords results becomes more important when dealing with certain customers. Having more relevant ads showing in the top position becomes paramount ... if your ad is not relevant to a user they may still "accidentally" follow the link, which costs you money, only to have them leave immediately thereafter. Google is strengthening their revenue streams AND further blurring the borders between organic and paid results - so paid becomes more important since users will eventually tend follow suit (remember: consumers will generally keep doing whatever they get used to doing). There is potential in everything ... and this is no different. 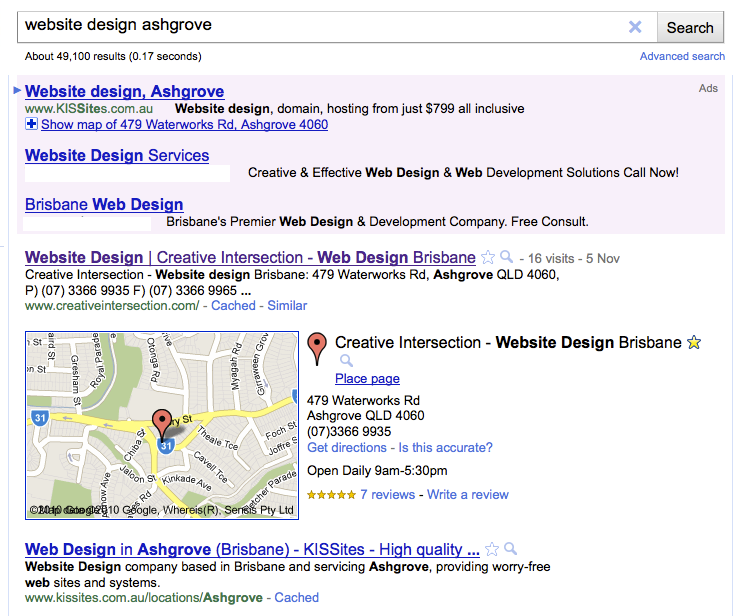 Call us for a helping hand on setting up and/or maintaining your Google Adwords campaign.